Vesper Public Relations. Los Angeles, January 2014 - The self-proclaimed “heroes of rhythm”, EL CONJUNTO NUEVA OLA kicks off 2014 with a concert performance at House of Blues in Anaheim on January 31, 2014. Once again EL CONJUNTO NUEVA OLA is ready to join in the shenanigansin a concert billed as ‘THE WORLD’s WORST SKA’ featuring some of the craziest bands in the ska scene in Orange County such as: Skapeche Mode, Stupid Flanders,The Maxies ( Greenland)&special guests& close friends from The Bay Area, Bang Data. 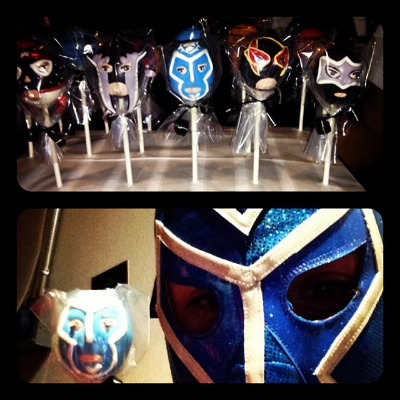 EL CONJUNTO NUEVA OLA continue garnering a cult following statewide with fans who continuously pour their unconditional support demonstrating it with unique gifts such as personalized sugar coated edible lollipops presented to them by a fan in San Francisco last week. In addition to a loyal fan base, the group has become a media darling among Univision, Telemundo, Estrella TV, Mundo Fox and Azteca America. The group is known for their humorous songs that make light of popular culture and often parody specific songs by contemporary Latin & American musical acts. 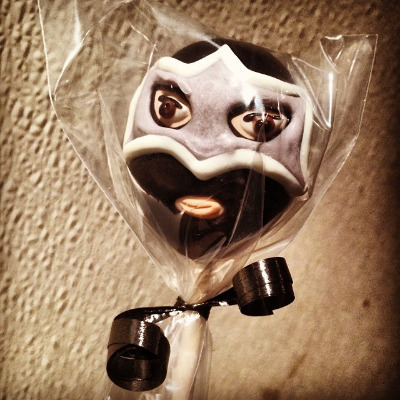 In their three year career span, the band has developed a cult following through its tight instrumentation and gimmicky high-energy stage shows.When performing live, band members wear extravagant costumes and personalized Mexican wrestling masks to maintain their anonymity. Originally from Mexico City, EL CONJUNTO NUEVA OLA consists of leader and vocalist Urbano López, Luzio Nava on guitar, Primitivo Ríos on bass, Hipólito Madero on percussion, Tacho Vasquezon timbales, and El Raio Manzares on keyboard. Que viva EL CONJUNTO NUEVA OLA!